With summer just around the corner, we’re bringing back a favorite Jasmin Fine recipe shared last April. 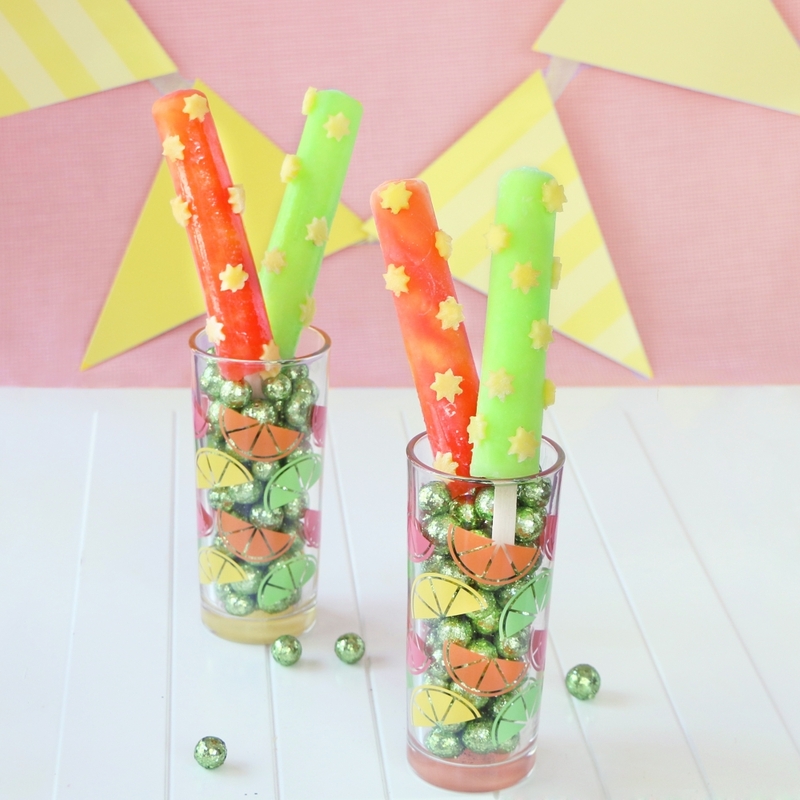 These Budget Saver Neon Sunshine Monster Pops will brighten your day! Slice mango into slim slices. Use a mini sun cookie cutter to cut out shapes from mango slices. Unwrap Budget Saver monster pops and place on a parchment-lined plate. Sit mango shapes along the top. If needed, use a little touch of corn syrup to help stick. Place in freezer on very low temperature setting until frozen solid.